Need a pre-purchase inspection in ? We’ll send an industry recognised RBI expert to inspect your property – search for potentially expensive problems – and draft a comprehensive property condition report. Want to be present? Sure! Feel free to watch your Inspector in action. At the end of the inspection – at your request – your Inspector will be very happy to walk you through the report. We draft easy-to-read condition reports to help you make the right decision. To do this, we’ll send an RBI expert to inspect your property. At the end of the inspection, he’ll draft a report with his findings. Our reports are comprehensive, INCLUSIVE of photos of potential/existing issues (if any), have detailed comments, and may even help you dodge a bad deal that could cost you thousands in repairs. We follow strict Australian Standards (AS 4349.1-2007 and AS 4349.3) so our reports are recognised by Real Estate Agents and Solicitors. We’ve inspected well over 1000 properties in Victoria – and as professionals – adhere to ridged best practice, and have local and experienced inspectors available now to inspect your property. We care about your property and here’s how we prepare your condition report. While the property might look great and you’ve no doubt been told it’s in ‘excellent condition’, it’s essential to get a second opinion by an industry expert. Freshly painted areas could, in fact, be hiding rotting frames and what is easily identifiable pest evidence may not be noticeable to the untrained eye. A trained expert can point out actual as well as potential issues that could be expensive to repair. To keep you protected, your inspector will be on the lookout for defects and seller ‘cover-ups’ to determine the actual extent of the damage. They’ll bring ladders, powerful torches and specialist devices to inspect visible areas. They’ll even use radar and thermal sensor equipment to check inside walls and cavities (should the need arise). Unlike some other inspection services, we don’t charge extra fees for these services, they’re all included in our fixed quoted cost. Pest inspections used to mean drilling, tapping, and even ripping out sections of the wall. Not only are these methods messy and intrusive, they often miss deeply housed nest areas. Fortunately, our inspectors use state-of-the-art technology designed specifically to detect pests without damaging the property. Using a combination of thermal sensing, moisture sensing and radar technology, we can detect problems through walls, ceilings and floors without leaving even a mark. 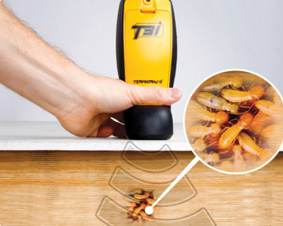 RBI Inspector’s are equipped with (and certified to use) the Termatrac t3i device – the only device that can precisely detect, locate and confirm the presence of termites without needing to penetrate walls, floors or ceilings physically. Our pre-purchase building and pest reports are written in ‘plain’ English, and prepared in accordance with Australian Standard (AS 4349.1-2007 and AS 4349.3) requirements. We highlight areas of concern and point out safety hazards and defects that may need costly repairs. We also provide photos showing the location of identified defects and safety hazards. Our pre-purchase building and pest reports are prepared in accordance with Australian Standards (AS 4349.1-2007 and AS 4349.3) and are therefore recognised by Real Estate Agents and Solicitors. 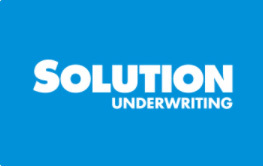 If we find any issues that could potentially compromise your investment, our report can be used as grounds to terminate your contract or strengthen your negotiating position. This means you can make your purchase decision with confidence, knowing the property has been thoroughly checked by an industry expert. We’re proud to offer . 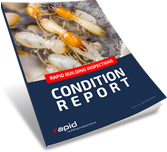 Why Choose Rapid Building Inspections in ? While training is great, nothing beats industry experience. Every inspector is a qualified professional in the building industry with years of experience behind them. Which means they’ll be able to spot issues less experienced inspectors could miss. Our inspectors follow the Australian best practice in pest inspections and are trained and qualified according to the Australia inspection standards AS4349.3. We are authorised to conduct pest inspections throughout the greater Melbourne region. All our work comes with professional indemnity insurance of up to $5,000,000. We won’t need it, but isn’t it nice to know you’re protected if something does happen! Our commitment to our customers is to provide a high-quality and 100% unbiased pre-purchase building and pest report at a great price! How do we do this? It’s simple! By having minimal face-to-face interaction between the RBI Melbourne Inspector, the owner and the real estate agent selling the property. This lets our inspectors get on with the job of inspecting the property and getting the report back to you! Coordinating access to the property can be time-consuming, and we can’t afford to have our inspectors calling agents and sellers to arrange access. Therefore we need guaranteed access organised by you for our inspectors at the agreed date and time. If you can’t secure a time for them to access the property, let us know 24-hours in advance so we can book another time. We have 8:00 AM, 11:00 AM and 2:00 PM time slots available Monday to Friday. Could I attend the inspection? Yes, you can be onsite when the inspection is taking place, that way, you can talk to the Inspector directly and discuss any issues. However, we do ask that you allow the inspector to conduct his inspection unhindered and save questions until he is finished. This helps to ensure a thorough and uncompromised report. Do you check the loft and roof? As long as our inspectors are able to gain access. This is another way we provide best value .